Welcome back to the island! 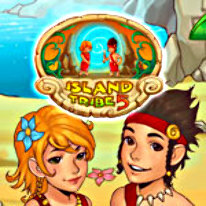 Exciting new adventures with the islanders await you in this thrilling new chapter of the beloved Island Tribe series. It's up to you to rescue your old friend the scientist, but in order to do so, you must contend with cunning Atlanteans, and dreadful beasts while making your way through hidden portals!